We recently started a cooperation with SavantGuitars for making available materials according to the original vintage 1959 LP specs. 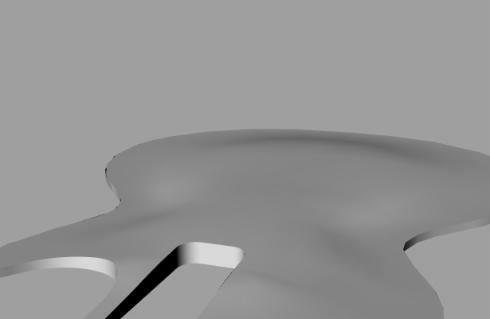 If you see any interested in getting a CNC´d LP top feel free to mail. We found out ourselves that finding the "right" parts is painstriking as you have to locate them at various suppliers. Therefore we will offer these parts here in the future incl. the "right" and sought after caps, pots, real featherweight aluminium tailpieces, tune-o-matic bridges with brass saddles (like "the real ones" have) soon. Check the "Woods+Materials" section at left. If interested check back or write an email to info@best-eurospruce.com to receive a newsletter with comprehensive informations regarding the LP ´59 in general and about this project. 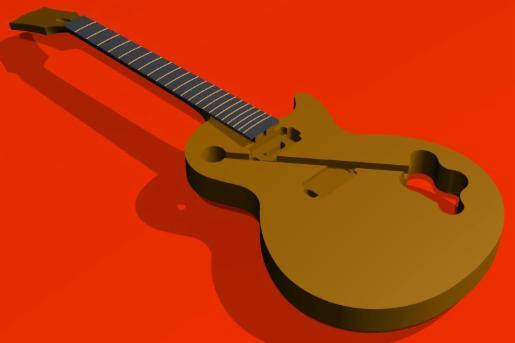 Visit our building blog for 1959-LesPaul replicas with our CNC´d tops and bodies here. 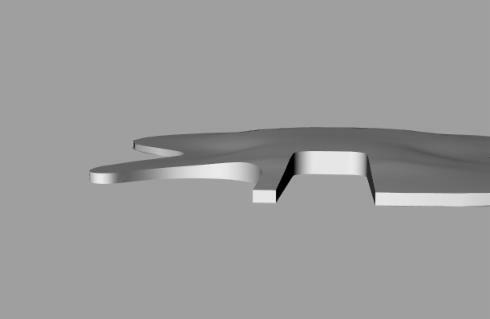 First pics from the CAD-model, measurements mainly taken from the master body of a special replica maker... 3.8 degree neck angle. Above pics are just from rendering the digital data and are just good for a first impression. 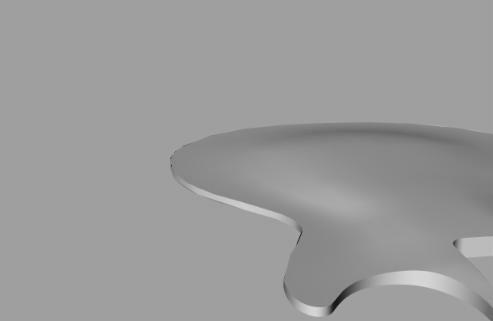 UPDATE: finally the data for the top routing are ready, ask for pics if interested in a CNC´d top or body. 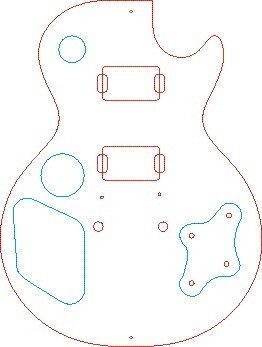 Additionally we lasered a routing template for a 1959 Les Paul body (we just altered the electric cavity for the pots to a more convinient one). This version is not the one we use for CNC´ing and it is for all who want to go the for the traditional non-CNC way and suitable for all who want just a "close-to-original" start. Neck to come. If interested in an acrylic or MDF template like below just ask (45 Euro for MDF, 65 Euro for 4 mm acryl). We publish the drawing of this here as shareware, a free 1:1 .pdf (A2) of the drawing below you can download here. You can print this A2 size 1:1 on several A4 sheets for doing some puzzeling at home -> adjust your Acrobat Reader printing settings for this option. Or print at a copy shop a full-size version. Always check the printing result for correct dimensions before using it for making templates due to the fact that printers sometimes alter the scale. We worked carefully but cannot guarantee anything, feel free to use it on your own risk! For routing the recessed cover of the electronic cavity just flip the template. The wider blueish circle next to the bridge humbucker is for routing of the recessed toggle switch cover: locate it in place on the back (over the hole for the toggle switch). The two additional holes on top and bottom are placed in the middle for placing over the center joint. Principly the same template is used by Gibson Custom Shop, see short video here. Original G**son headplates (NOS, multibound fiber) in stock - not suitable for a LP Standard, but for LP Custom and various ES models. (cherry red burst) click here. ups. Text in German, but list of .mp3 pu-soundclips is self explaining. 3. Gibson Custom Shop video "The making of a VOS" you can find here. (maker of famous replicas) you can find here. 5. For videos from 3 Gibson factory tours click here or here or here. Last link incl. that are nowadays usually heavier than in the 50´s. Other say that this was a strict request from the US chiropractic´s union. 10. Interested in the making of a sunburst finish: click here. 11. 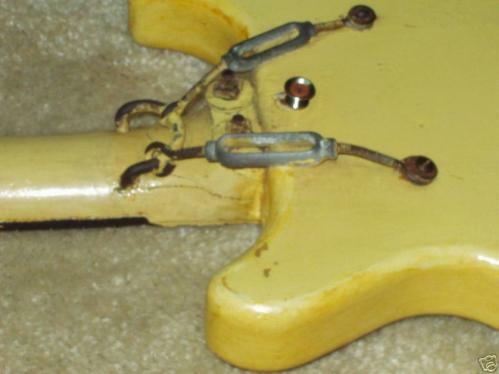 Interested in a infos regarding "How to spot a FAKE Gibson guitar"? Click here or here or here to get highly useful informations about the electrics of any guitar and all wiring diagrams you can think of. Voting below is more just a gimmick, but we really give each month 1 EIR headplate away for free for all who take part and name a Les Paul aspect that you want to learn more about. Email your request to info@best-eurospruce.com. We will update this site with informations and links etc. step-by-step. Check back regulary. Ok, there are now some nuts on the fretboard at the 15th and 16th fret and make the playing at this (seldom used) part a bit unpleasant, but the rest works fine. Available in lightweight aluminium, too.